Enter this beautifully updated home with hardwood floors, granite countertops, high ceilings and many more premium features. An oversized office adds extra space and the ability to convert to a third bedroom. The home is surrounded with mature landscaping that adds both appeal and privacy. The large 360 sq ft Florida room makes this home great for entertaining or just relaxing after a day of golf. This home also features a recently replaced roof, 3-Ton AC, water heater and more. The only thing that matches how great this home is, is the community. Sun City Center is well known 55+ community with many activities and clubs. Check out the recently built 6000 SF impressive fitness center, indoor Olympic lap pool and outdoor pool. Golf carts are more than welcomed for shopping, doctors’ office visits, hospitals and trips to the golf course. 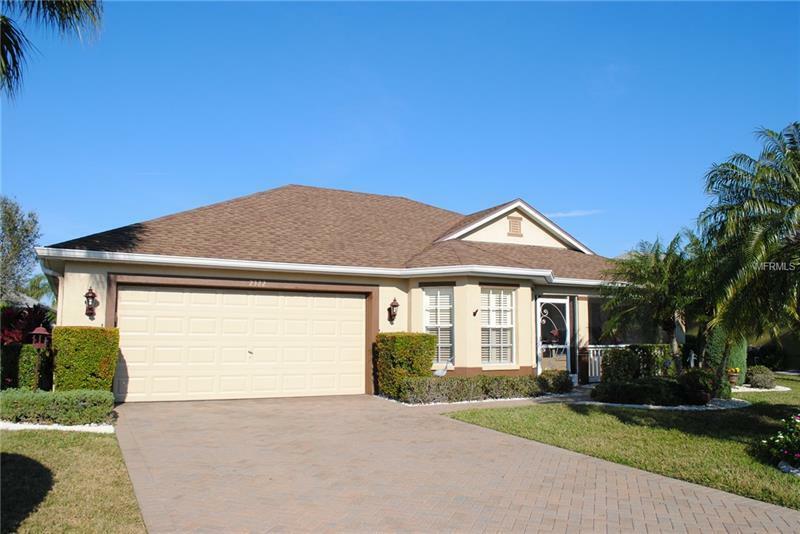 Come enjoy Florida living at its finest in this home made for entertaining family and friends.